Heard from my friend she told me bunga Telang helps to improve memory, don't know how true is true, but no harm drinking this nice flower tea. 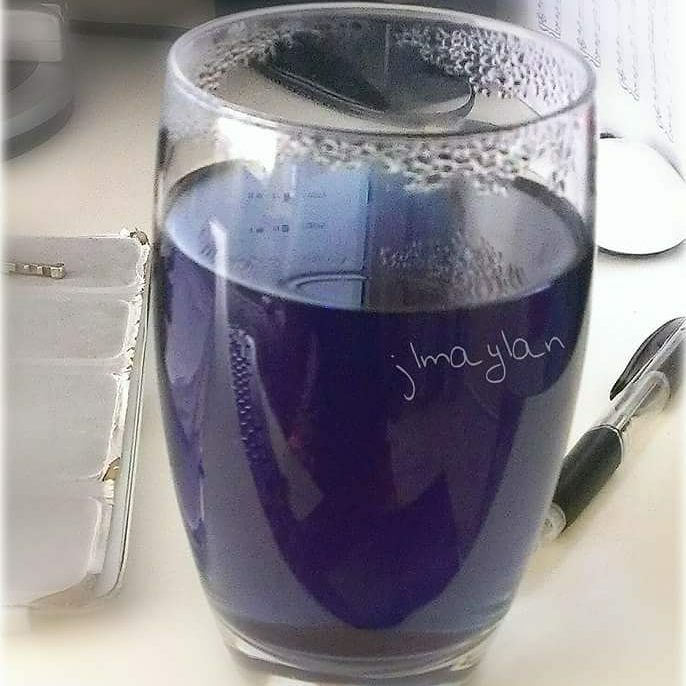 Blue Pea Flower Ginger Tea, good for memory! 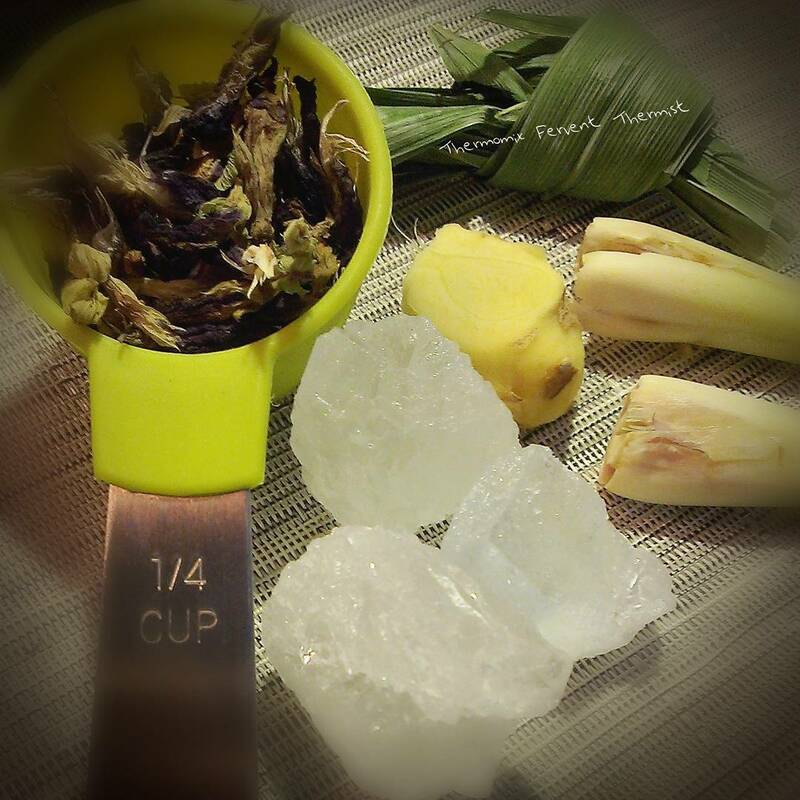 Ingredients for Blue Pea Flower Tea, for better result, chop the lemongrass into small pieces, slice gingers too. 2) Insert simmering basket, add B to cook. 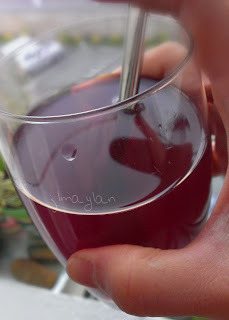 3) Serve cold or warm. *optional: add lemon & honey. Contact Jane if you wish to buy TM5 or any arrangement for Thermomix demo.